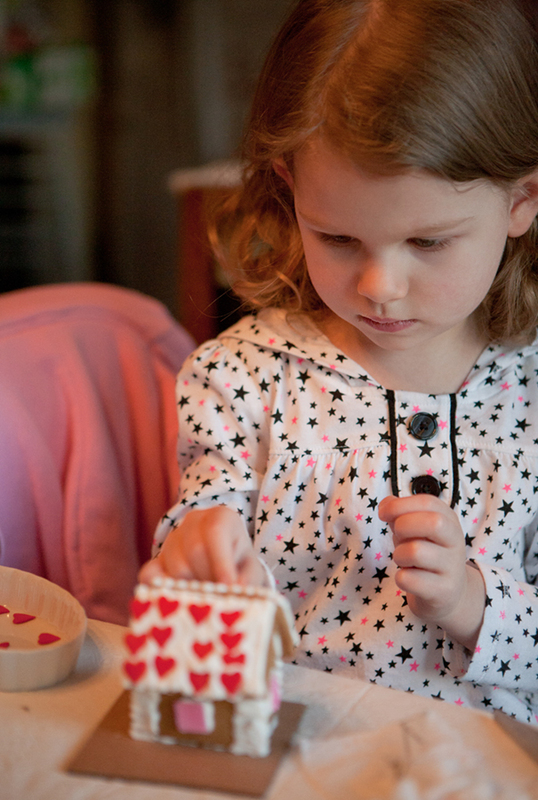 There is nothing as sweet as decorating tiny gingerbread houses with my little granddaughter! My 18 year old son also decorated one, as did my daughter-in-law. Such fun! 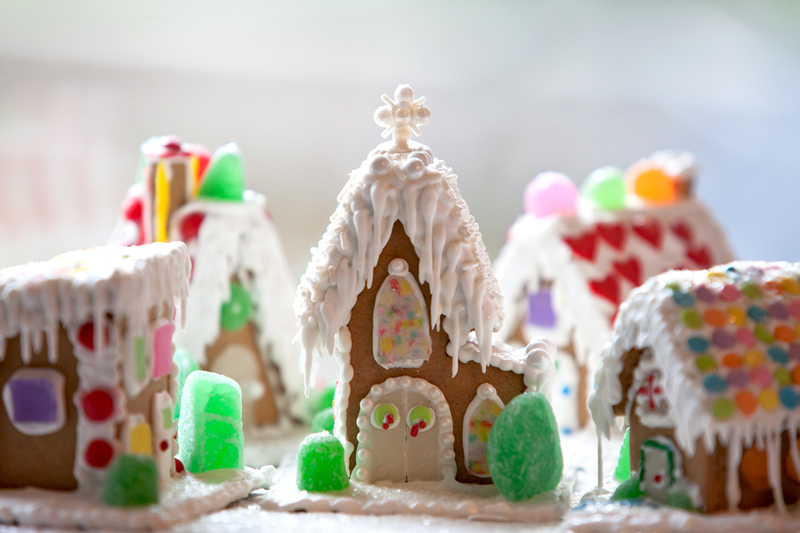 We used Wilton’s Gingerbread Mini Village Kit, purchased from JoAnn Fabrics for less than $10. The kit includes detailed instructions, prebaked gingerbread to construct all five houses, cardboard for the bases, icing mix, candies, decorating bag and tips for piping icing. We did not use the enclosed decorating bags and tips because I already had those. To make the kit with a child, I recommend at least two hours just for construction of the houses. It took a while to mix the icing, cut all the gingerbread pieces apart and “glue” the houses together. You can also construct the houses ahead of time so the child can start adding candy immediately. We will definitely do this again next year! Love the gingerbread village. This is one of the most creative activities … tasty and messy …. lots of laughter and fun. A memory maker.